At Abby Medical Laser Centre we feature the latest in skin resurfacing with state of the art equipment. 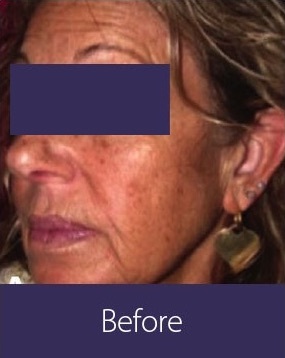 Cosmetic laser resurfacing, also called “laser peel”, is a procedure that smoothes the facial skin by using a laser to refinish damaged areas and shrink fine wrinkles. In laser resurfacing, a beam of laser energy is used to vaporize the upper layers of damaged or wrinkled skin with accurate precision. 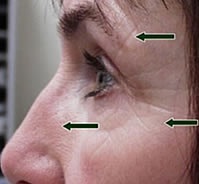 As new cells form during the healing process, a smoother, tighter, younger-looking skin surface appears. You may be a good candidate for laser skin rejuvenation using our V-Star Laser. 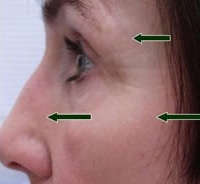 Laser Skin Resurfacing is a procedure that can reduce visible facial vessels as well as diffuse redness by gently warming the upper dermis, improving the appearance of your skin. The result is a healthy looking and vibrant appearance. 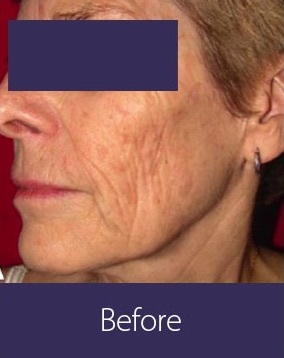 The laser employs a revolutionary, patented laser process with Air flow Dynamic Cooling Device, which targets and heats collagen in the upper dermis while protecting the epidermis. A typical treatment will take between 10 and 30 minutes. Depending on the degree of aggressiveness you and your doctor decide on, your treatment can be a “lunchtime” procedure, in which you can go right back to work, or more aggressive treatment, in which there will be a brief recuperative period. Consult with your physician about your treatment schedule and interval between subsequent treatments. Because the laser’s Dynamic Cooling Device is so effective, many patients report the procedure as “mild,” with little more than a slight snapping or tingling sensation. Of course, pain is subjective, and topical anesthetics can be used if the patient wishes. Although results vary, you should discuss your expectations with your doctor. 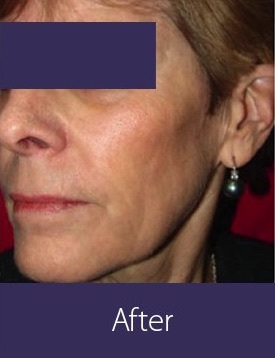 Unlike many other procedures available today, with Laser Skin Resurfacing skin therapy, your physician can safely treat your entire neck and facial area if desired. There are no complicated pretreatment rituals with this procedure. 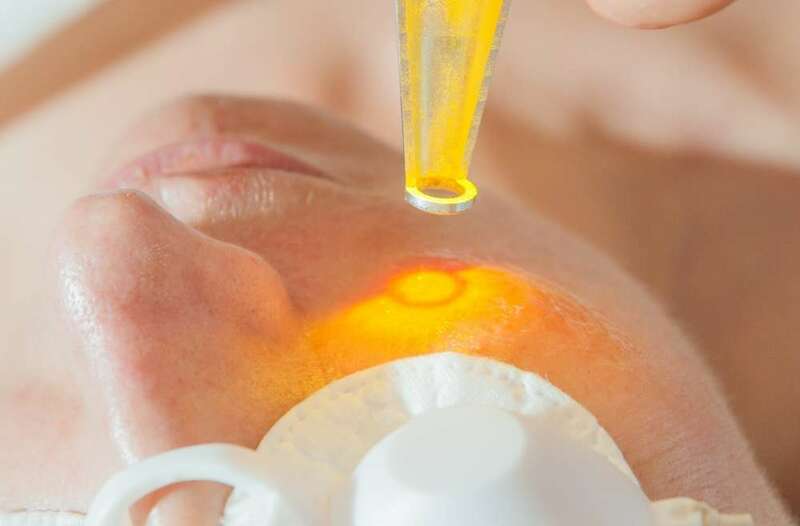 Prior to the actual Laser Skin Resurfacing treatment you will be asked to remove your make-up or moisturizers and in some cases, you may be asked to shave the area to be treated so as not to interfere with the laser treatment. Your physician will review and assist with all pretreatment requirements. Immediately after the treatment you will experience some minor redness. The redness typically lasts only a few hours. 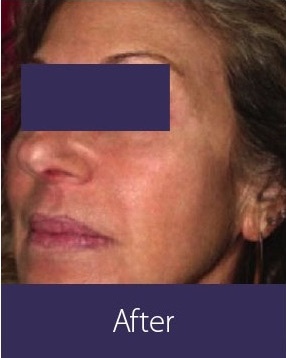 Patients often describe the treatment as relaxing and therapeutic with visible results that are subtle yet noticeable. You can expect to immediately return to normal activities utilizing sunscreen if participating in outdoor activities.